Fosamax, the generic being Alendronate sodium, belongs to a class of drugs called bisphosphonates, which help to prevent loss of bone mass. They are the most commonly prescribed drugs used to treat osteoporosis. Osteoporosis causes bones to become thinner and break more easily. The chances of developing this condition increase with age, after menopause, or if you are taking corticosteroid medications, like prednisone, for long periods of time. Worldwide, 1 in 3 women over age 50 will experience osteoporosis fractures, as will 1 in 5 men over 50. In the U.S., osteoporosis and low bone mass are currently considered a major public health threat for almost 44 million U.S. women and men over 50. By the year 2020, this figure is expected to climb to more than 61 million men and women. Most people do not think of lack of bone density as a big problem in the United States when it comes to general health concerns, but the fact of the matter is that many different people need help adding density to their bones in order to avoid the common fallout that’s associated with it. There are also many different ways for people to lose density including by way of osteoporosis and through certain types of chemotherapy. Simply drinking milk is not going to resolve this problem, so consumers need to turn to prescription medication. As is often the case, turning towards medication comes with potential benefits and potential risks. If you or someone you love has been harmed as a result of using this medication, contact the Fosamax lawsuit lawyers at National Injury Help, today to schedule a free initial consultation. There may be a class action lawsuit forming with cash settlements. One of the leading medications that has been put out on the market over the years that is designed to help people with their bone density problems is known as Fosamax. Fosamax is manufactured by Merck & Co., one of the true giants of the pharmaceutical industry. For a time, Fosamax was hailed as a success. Unfortunately, allegations of serious Fosamax side effects eventually began to surface, prompting action in the legal world as a result. Fosamax was originally approved in the United States by the FDA in 1995 for the purpose of helping treat osteoporosis in postmenopausal women. At the time of the approval, osteoporosis affected approximately 8 million women across the country and more than one million bone fractures occurred because of this condition. Fosamax helped to increase the mineral density in bones and thereby reduce the chance that these fractures would occur. It was later approved for use by patients who had suffered the same problem because of chemotherapy. Studies done in Singapore from 1991-1998 show the incidences of hip fractures have gone up five times in women and 1.5 in men compared to those observed in the 1960’s. It wasn’t until more than a decade later that reports began to surface from different parts of the world that concerned allegations of Fosamax side effects. Studies were done in places like Singapore that involved analyzing women who had suffered random fractures to their femurs, or thigh bones, without having endured any physical trauma such as a car accident, some other type of collision or a severe fall. These studies prompted additional investigation into the medication. Fosamax has since been associated with osteonecrosis of the jaw, or ONJ. This is also known as dead jaw, and it typically occurs when someone has a tooth extracted or endures some other relatively minor trauma and the jaw does not heal. This is obviously a very painful and unsightly condition that needs to be corrected with aggressive treatment. Sadly, most individual consumers are not in the position to be able to take on a huge corporation like Merck & Co. even if they have been harmed by one or more of their products. Those that do take this step soon find themselves dealing with highly skilled defense attorneys and other experts who are working to limit the exposure of their client and/or employer. Patients taking drugs like Fosamax have an increased risk of developing ONJ, a condition in which an area of the jawbone is not covered by the gums. The condition has to last more than eight weeks to be considered ONJ and while it is associated with bisphophonate use, the overall cause is unknown. It may be due to a decrease in the bone’s ability to repair itself, or a decrease in blood vessel formation. Calcitonin (Calcimar, Miacalcin) is a hormone that has been approved by the FDA for treating osteoporosis and Paget’s disease. Calcitonins come from several animal species, but salmon calcitonin is the most commonly used. It can be administered under the skin, into the muscle, or inhaled nasally. It has been shown to prevent bone loss in postmenopausal women and increase bone density in the spine. A unique benefit of calcitonin is the short term relief of pain after a fresh fracture. Several studies have shown that it can decrease pain and the need for pain medication. Calcitonin is a helpful alternative for patients who cannot handle the extreme side effects of Fosamax. In December of 2013, Merck & Co Inc, the manufacturer of Fosamax, settled hundreds of lawsuits against them claiming that Fosamax caused ONJ. The settlement reached $27.7 million in damages. Sales of the drug had declined since Fosamax lost patent protection back in 2008. There have been several trials for the lawsuits against Merck & Co Inc, with one defendant, Shirley Boles, being awarded over $1.5 million. What is Fosamax prescribed for? Fosamax is a popular treatment for osteoporosis that is prescribed to increase bone density in patients. The FDA approved Fosamax in 1995 for treatment of osteoporosis and Paget’s disease. Since its approval, the drug has been taken by close to 10 million men and women. 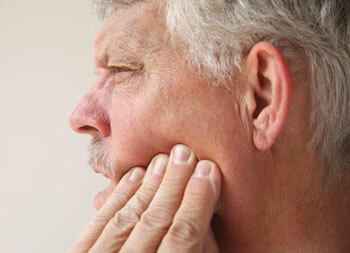 ONJ, or Osteonecrosis of the jaw, is a disease where bone tissue in the jaw does not heal after minor traumas. Dental extractions cause bone to become exposed can lead to fractures and infections that sometimes require antibiotic therapy and surgery to remove the dying bone tissue. More than 2,400 patients taking bone building medications have reported cases of ONJ. A study at the USC School of Dentistry believes that bisphosphonates, including Fosamax, make it easier for bacteria to adhere to bone exposed after a tooth extraction or surgery, which can lead to ONJ. Is Fosamax linked to femur fractures? Studies have shown Fosamax can slow the body’s natural bone repair process, making bones brittle and resulting in breaks. In 2008, Cornell University conducted a study revealing that Fosamax patients are 125 times as likely to suffer non-traumatic femur fractures than patients who have never taken the drug. It wasn’t until March of 2010 that ABC World News Tonight exposed the risk of low-energy, non-traumatic femur fractures for patients taking Fosamax for long periods of time.